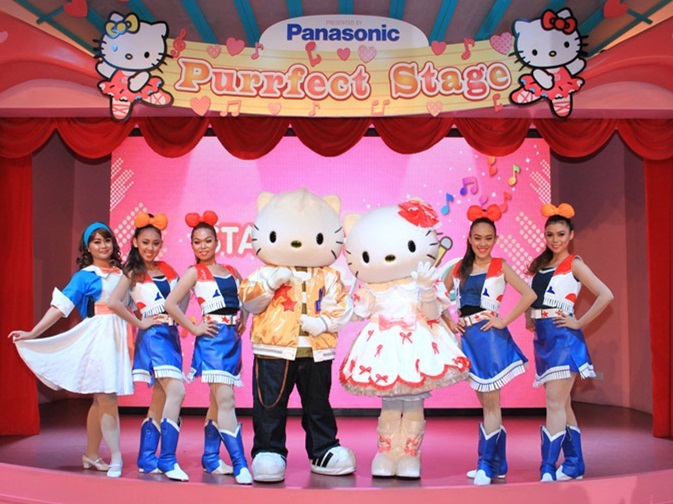 Sanrio Hello Kitty Town in Malaysia is one of the most tourist attraction places for summer vacation. With its eye-catching look and colorful space, Sanrio Hello Kitty Town attracts a large number of visitors every year, especially young travelers. 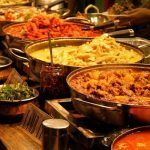 If your family is planning to visit Malaysia this summer, do not miss this destination and this review below. This place promises to bring happy moments, valuable and useful experiences and knowledge to your family, especially your children. The Kitty Cat Theme Park in Malaysia opens in October 2012 at Puteri Harbor in the Nusajaya area, near the Legoland theme park in Johor Bahru. Sanrio Hello Kitty Town ( also called Sanrio Hello Kitty Theme Park) is considered the first town of the Kitty cats outside of Japan. Cats Hello Kitty is a character in the country’s cherry blossom industry. Hello Kitty or Haro Kiti, whose full name is Kitty White, is a fictional character designed by Yuko Shimizu. She was drawn in the shape of a Japanese tailfin cat and added a red ribbon to her head. To date, Hello Kitty has become internationally known, one of the representative images of Japan, which is also the product of the “kawaii” culture (cute) in the culture of entertainment. 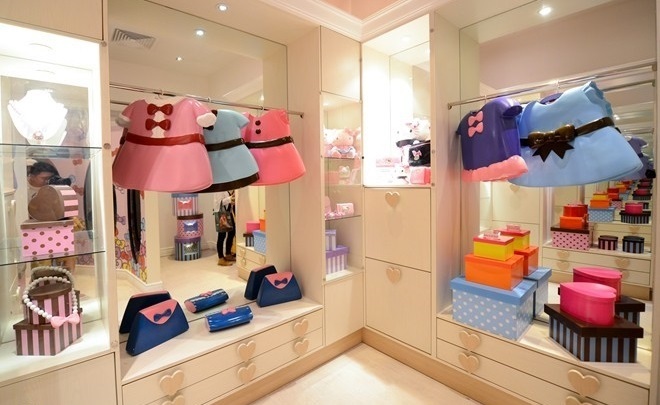 The town of Sanrio Hello Kitty in Malaysia is designed in bright and lovely pink tones. The park was originally open mainly for children and lovers of sweet and cute. 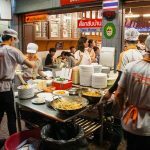 However, the park attracts hundreds or even thousands of tourists in different age groups visiting on the weekends every year. They come here not only to enjoy the lovely cartoon atmosphere in the town but also look for the pleasures of childhood that they accidentally forgot when mature. With a sizeable area of 60,000 square meters, the entire park is designed and decorated in sweet pink tones, and some Hello Kitty cats appear everywhere. It will be a promising place for you and your family to have an enjoyable holiday. 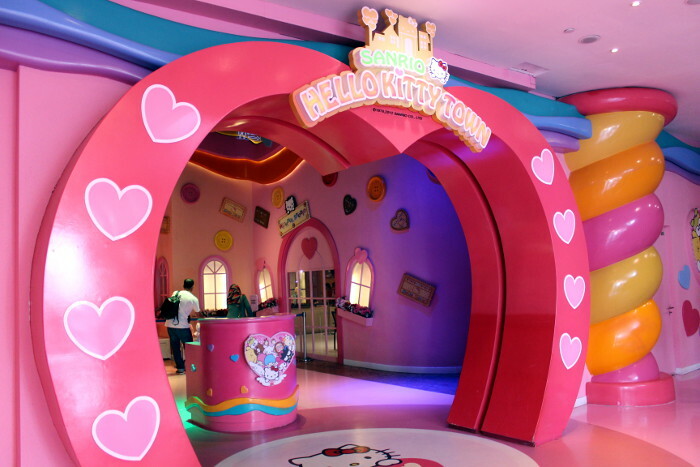 First and foremost, visiting Hello Kitty Town, you will have the opportunity to explore the world of Kitty and immerse yourself in the lovely cartoon space at Kitty House. It is known a fully-fledged Hello Kitty house. Main rooms include living room, bedroom, bathroom, and kitchen. Inside the house, Kitty’s colorful “life” models are full of life. Items like clothes and bags are very attractive. They bring the “style” of this lovely cat. For example, when you visit the bedroom, you will be overwhelmed by the colorful wardrobe of Kitty’s dress and a beautiful handbag. The bathroom is adorned with lovely decorations small beautiful, eye-catching. Many young people in the world who love Hello Kitty have their beautiful rooms in their home to feel free to experience the feeling of living in her cat. Besides, her cat’ kitchen is designed quite spacious with yellow tones, with a full set of utensils. Visiting the playroom, surely any child would have cried with full of joy when they can see so many items that they love are exhibited here. For instance, Kitty’s beautiful piano at the corner of the playroom; or the cute computer desk is also decorated with pictures of her Japanese cat. 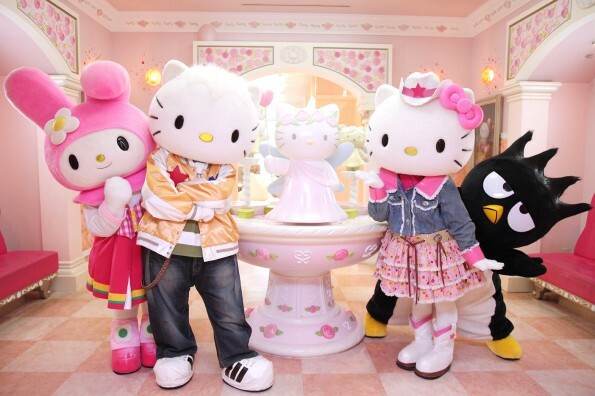 In fact, Hello Kitty Town is built with open space, so there are many different entertainment venues outside: restaurants, souvenir shops, amusement parks, mysterious forests. Here, many activities will be organized for visitors to participate. Visitors will play a puzzle game to save Kitty and his boyfriend Daniel, who is being held in a mysterious forest. Besides, other interactive Hello Kitty games are also extremely varied for you to choose in Black Wonder. For example, self-made jewelry, shaping Kitty’s cat at Wishful Studio. You can also enjoy tea, “Hello Kitty” pastry and cake watching elaborate art performances on the musical stage. These activities will create an exciting excursion for visitors. How to participate these activities? When a few doors, you will be playing cards of events. These cards once joined, will not be reused. That will help you know what activities you have experienced, and what program to follow next. Souvenir activity is also very popular. You can keep your family and friends happy and relaxed. Most children love Hello Kitty in the same frame. After visiting the area, visitors can also buy souvenirs to bring home. Come to the large shopping area below the first floor. Here you can choose to purchase adorable gifts as souvenirs for loved ones. This cat has appeared on a variety of products ranging from school supplies to fashion accessories and other premium items. In particular, these things are especially liked by girls. Also, the staffs at Sanrio Hello Kitty Town are also very enthusiastic and caring. They are always ready to give directions and help you. Do not hesitate to ask questions and you will receive very detailed answers. Hello Kitty Town opening hours: 10:00 am to 18:00 pm daily. Entrance fee is about 65 RM for adults and 50 RM for children. Tourists can visit the house, join the game without paying any fee other than a fare. However, when visiting Sanrio Hello Kitty Town, you need to pay particular attention to this place. Two of the things that you need to abide by structure not littering and smoking. Because this destination attracts children and women, pregnant women …, smoking can have a significant impact on people’s health. The review above is all the most basic information about Sanrio Hello Kitty Town which helps you have the most comprehensive overview of this park. For kids, Sanrio is a fun and exciting place to play. Lovely models, cute scenes, fun activities will give you great moments of rest. Let’s explore with your family.